Researchers from Harvard and Vanderbilt reported that men who regularly take aspirin , tylenol , or NSAIDS (like ibuprofen ) are at increased risk of hearing loss. This increased risk of hearing loss is significantly higher the longer the duration of regular use (defined as 2 or more times per week) and if regular use starts under the age of 50 years. 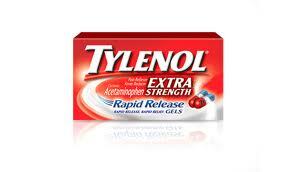 For women, however, only tylenol and NSAIDS were found harmful to hearing (not aspirin). Indeed, the conclusion is that regular over-the-counter pain killers may in fact be mildly ototoxic and that such overuse be avoided if possible and would not adversely affect health in other more important aspects (ie, especially in the absence of heart or vascular disease for which daily aspirin is often recommended). Just goes to show you that too much of any medication is harmful. I have found that when I take Ibuprofen, my tinnitus is worse. Tylenol does not have this effect though...strange. considering that I blame whatever is in Neocitren as that is what started my long struggle with tinnitus!